This fantastic “jack of all trades” was designed to perform a wide variety of activities in the management of small farms, allotments, greenhouses, parks, gardens, sports fields and municipal areas. The four isodiametric driving wheels, together with the ACTIO ™ chassis, assure operating comfort and safety thanks to the constant traction and ground adherence. PTO synchronised with all gear speeds The power lift features a 3-point hitch and adjustable tie-rods with a capacity of 850 Kg. 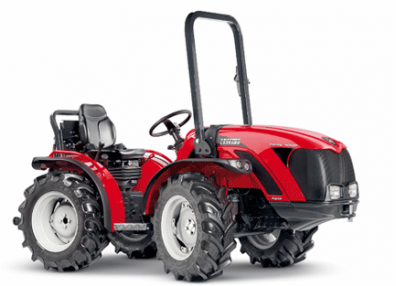 The Tigre “family” was developed with the aim of equalling the quality and structural standards of AC top-of-the-range tractors, though on a reduced scale. Tigre 4000 and Tigre 4400F are compact tractors designed for the semi-professional needs of farmers, greenhouse operators, nursery gardeners, ground care operators and evolved hobby farmers. 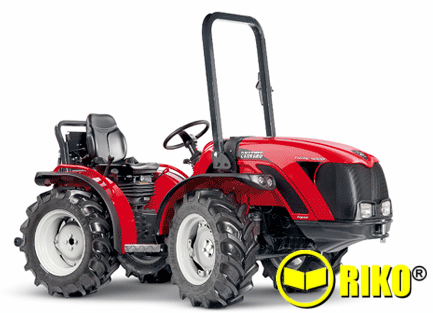 Tigre 4000 enjoys 2 years standard warranty with up to 4 years extended warranty package (EXG).